Liu Xi He is a national forest park designated quite recently. 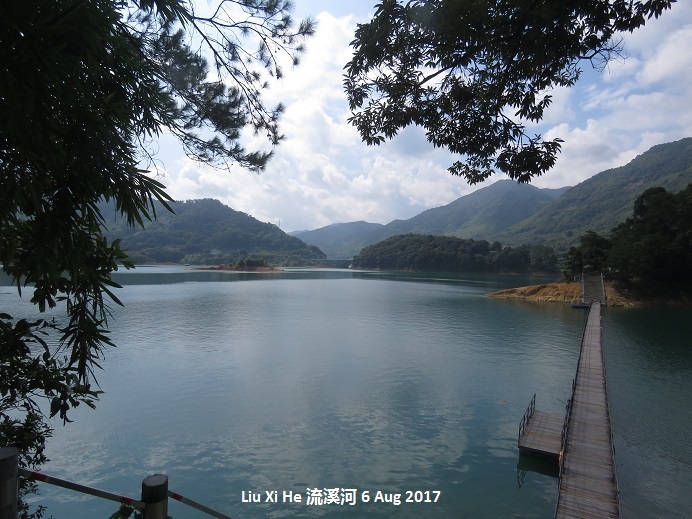 The birds found here are typical of central-north Guangdong and include Brown Bush Warbler and Lesser Shortwing. Black Bulbul also appears to breed here. The area deserves to be more fully explored as the forest here is quite extensive. Brown Bush Warbler, Black Bulbul. There are two separate areas to bird. 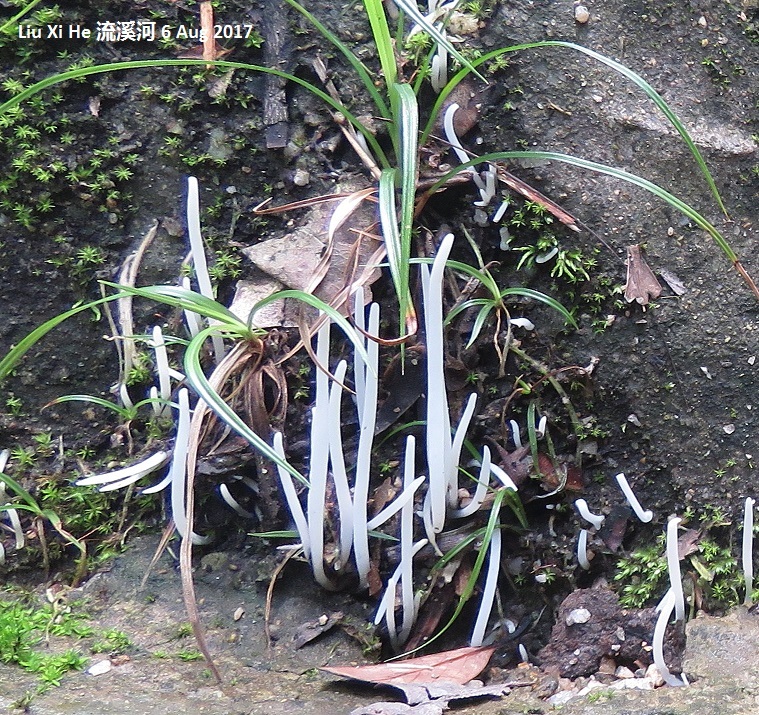 The most interesting is up in the hills at Wu Zhi Shan (Five Finger Mountain). This peaks at 1187m. 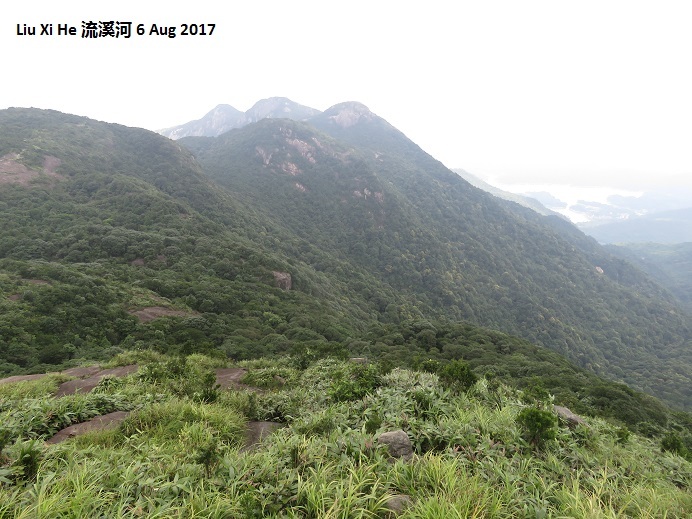 Near the summit are found Brown Bush Warbler and Lesser Shortwing. Slaty-backed Forktail can be found along the stream. 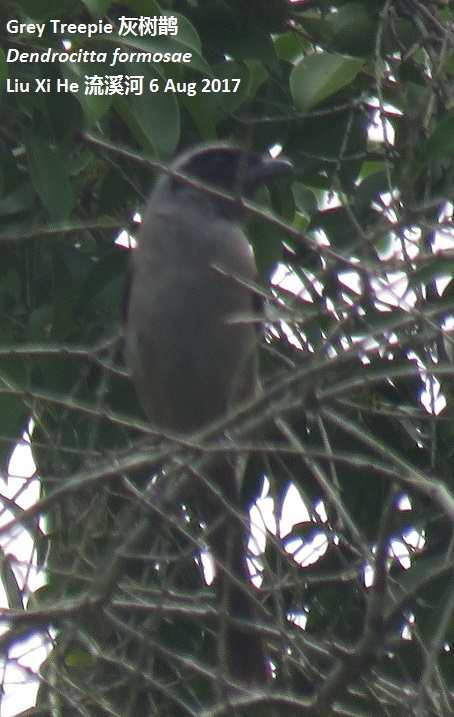 The lower section around the reservoir supports Grey Treepie and Bay Woodpecker and a variety of smaller passerines, most notable of which is Black Bulbul. Tree cover includes Machilus chinensis, Elaeocarpus apiculatus, Evodia lepta, Sapium discolor, Castanopsis hystrix, Eugeniauniflora, Chorisia speciosa. The park is in Conghua county.From Shenzhen the last bus from Qiao She bus station near Lowu departs at 7pm and takes 3.5 hours to get to Conghua (after stops eslsewhere in Shenzhen). From Conghua take a bus or morobike to Liangkou in the north of the county (the reserve is 15 minutes further north). The bus stops at the reservoir reserve. Entrance in August 2017 was Rmb40. The hill reserve is 2km further north-west. Entrance here costs Rmb72, but there are two sections. A bus takes you up to the small reservoir at 980m altitude. There are two paths to two different summits of the Five Fingers but the paths connect along the ridge. THe best walk is to summit 2. Disturbance: tourist site but not inordinately busy in the summer.